Reductions in time to collect water has been found to increase school attendance. 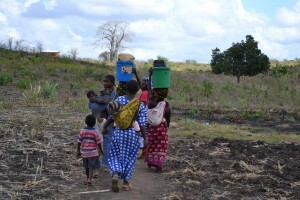 It is estimated that women and children spend 140 million hours each day collecting water. Diarrhea is the 4th leading cause of child death, a majority of which are water-related. Diarrhea kills children at a rate equivalent to a jumbo jet crashing every ten hours. An estimated 622,000 children under the age of five die each year from diarrheal diseases globally.